Translated by Nobuo Asahi and the Japan Tech Co. 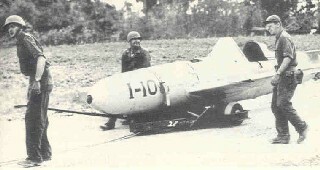 The pilots of the Cherry Blossom Squadrons trained to guide ohka rocket-powered glider bombs into American ships in the last year of World War II. Ohka means "cherry blossom" in Japanese, and each ohka weapon had a cherry blossom painted on each side of its nose, which contained 2,800 pounds of explosives. The mother planes, Mitsubishi Type 1 (Betty) bombers, carried one ohka each to within a few miles of a target before being released, and Zero fighters served as escorts to protect the mother planes. American fighters destroyed most of the mother planes before the ohka weapons could be released, so the rocket-propelled human bombs inflicted little damage on American ships near Okinawa. Over 50 ohka pilots and about 320 pilots and crewmen of the mother planes lost their lives during the war (p. 54). This book tells the story of the 721st Naval Air Corps, known also as the Divine Thunderbolt Corps. This Corps, part of the Navy's special attack forces formed to carry out suicide attacks, started with ohka pilots and mother plane crew members. Later, after the first large-scale ohka attack failed to produce any results, some men in the Corps were assigned to Kembu Bomber Units, which used advanced Zero fighters with 1,100-pound bombs to carry out kamikaze attacks. The main part of this book contains reminiscences and comments from about 70 surviving Corps members and family survivors of dead Corps members. The front part of the book has a well-written 75-page historical introduction to the Divine Thunderbolt Corps, including several pages of historical photos. But I really can't forgive those who actually forced such a foolish war on us, completely ignoring the value of human life. I can't help but pray—please don't blacken human history with another such war in the future. Even today after six years, we dream of those days at the air base. And awakening in the middle of the night and returning to present-day reality, I find my pillow wet with tears and discover that I have been biting my lips. These two short quotes provide just a small sample of the heartbreaking comments found in this book. The Cherry Blossom Squadrons and Naito's Thunder Gods both cover the history of the 721st Naval Air Corps, but the translated names used in the books differ slightly. The Japanese name of Jinrai Butai is translated to English as "Thunder Gods Corps" by Naito and "Divine Thunderbolt Corps" in this book, but both refer to the 721st Naval Air Corps. The Kembu Bomber Units in this book are translated as Kemmu Squadrons in Naito's book, but both of these names refer to the men who flew the advanced Zero attack planes that carried 1,100-pound bombs for kamikaze attacks. 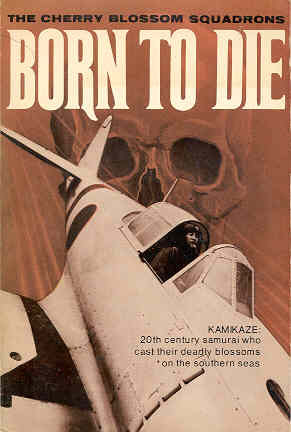 Among English-language books on Japan's kamikaze operations, this translation of the reminiscences and comments by Kamikaze Divine Thunderbolt Corps survivors and bereaved family members makes a unique contribution. The book provides a compilation of various emotions and opinions toward the ohka suicide attacks just a few years after the war's end. Although Naito's Thunder Gods covers the history of the Corps in a more comprehensive manner, this book provides more personal insights by giving comments written by those men involved in the ohka attacks and family members of the dead pilots.